An agreement between the National Union of Mineworkers (NUM) and several coal sector firms has resulted in the end of a strike involving thousands of employees which lasted over a week. Mining companies including Anglo, Glencore and Exxaro Resources Ltd. presented a revised two-year deal on Oct. 9. Further changes to the deal were made on October 12. The agreement is for an extra 750 rand ($56) to 1,000 rand monthly, and will be paid retroactively to June. All workers returned to their jobs on Wednesday October 14. NUM, which represents 72 percent of the 17,000 employees covered by the wage deal, had been demanding increases of as much as 14 percent for its members. The bosses and unions began conciliation talks after reaching a deadlock in negotiations in August. The strike was the first related to wage negotiations in the coal sector since 2011. Several factors have contributed to the current downturn in the overall economy in South Africa one of which is the problems that have developed over the last two decades in the mining industry. The mining of gold, diamonds, coal, iron ore and platinum turned the racial capitalist state into the largest industrial center on the African continent. Other industries such as manufacturing would have never reached significant levels without labor intensive mining. Nonetheless, with the organization of the majority African mineworkers during the 1980s leading to the founding of the Congress of South African Trade Unions (COSATU), which became a key ally of the African National Congress (ANC) even under the former apartheid system, shifted the character of the relationship between labor and capital. The NUM demanded higher wages from mine owners and were in a position to shut down production as was done in major work stoppages during the 1980s. The struggle for better wages and working conditions were firmly linked to the demand for an end to legalized racism and colonialism. Since the ANC took power in South Africa in 1994, there has been tremendous downsizing in the South African mining industry. 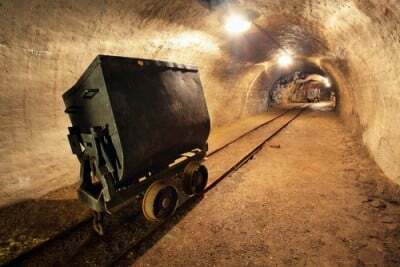 Many gold mines have been closed and production dominance shifted to other geo-political regions in Africa, China, Australia, the United States, Canada and Latin America. Prior to the first decade of the 21st century, South Africa was the largest producer of gold internationally. This situation has changed dramatically over the last decade. Technologies within the South African mining industry are becoming more mechanized due to what owners say are rising costs of production. The militancy of mineworkers over the last three decades has placed pressure on the owners who are always seeking to increase their profit margins. Consequently, other methods of reducing labor costs, namely massive layoffs, increased workloads and the cutting of real wages are currently underway in South Africa. Even in the platinum sector, which mines the overwhelming majority of the strategic metal globally, there have been over 10,000 layoffs in the last two years. Since the unrest at Marikana in the Northwest Province during 2012, the platinum sector has experienced major changes. Owners have threatened to retrench up to 35,000 workers while the ANC government has pressured the capitalists not to engage in deeper job cuts. However, the mining firms have reaped billions in profits from the exploitation of African labor over the last century-and-a-half. A leading firm in the industry, Anglo American PLC, was initially formed by German émigré to London and South Africa, Sir Ernest Oppenheimer, along with the U.S. bank J.P. Morgan & Co. Capital was raised from British and U.S. sources, and therefore naming the firm as such. Today when workers are demanding a greater return on the productivity of their labor, the owners are seeking ways to undermine their rights to a decent wage and overall living standard. Without the militant organizing and activism of the South African working class, the ANC would not have been able to gain a majority within the non-racial government which took over in 1994 and therefore cannot ignore the plight of union members in the struggle against the bosses. Nonetheless, the government is not willing to take control of the mining industry, nationalizing it under workers’ control as a means to halt the retrenchments and redirect the production of minerals based upon the interests of the laboring class. Such a series of measures would prove popular among the masses but would prompt a response less than positive among the mine owners, international financial institutions and western governments. Nevertheless in spite of these dramatic changes, South Africa is still ranked as the fifth largest gold producer. But the sector has been consistently shedding jobs since the 1990s. Over the last two decades the number of people employed across the mining industry in general has declined precipitously from about 800,000 to below 500,000. At the end of the final quarter of 2014, gold mines employed about 119,100 people, down from 142,000 in 2012. Platinum sites had 188,400 jobs in 2014, a decrease from a high of nearly 199,200 in 2012, according to the Chamber of Mines’ statistics. The Iron ore sector employed 21,800 people in 2014, a decrease from 23,400 in 2012. In the platinum sector much blame can also be apportioned to the owners who over-produced during the commodities super cycle in the 2000s, and consequently have been faced with ongoing weak prices and rising costs. As in the capitalist system around the world, it is the workers that must bear the brunt of mistakes made by the owners and their executives. The reduction in commodity prices has resulted in a myriad of financial problems internationally, particularly in the so-called “emerging economies.” Western capitalist states in Europe and North America are concerned by the increasing independent efforts of states such as Brazil, Russia, India, China and South Africa (BRICS) which has proposed the formation of an alternative global lending institution that could challenge the International Monetary Fund (IMF) and the World Bank. Imperialist spending on defense and the continuing bailout of the banks based in the advanced capitalist states also drains resources that could be reinvested into infra-structural projects aimed at re-building the cities, improving public services, social services, scientific research and quality education. However, it will take a movement of the working class, farmers and the nationally oppressed to reverse the current course of economic policy which places the growth in profits as the primary aim of the ruling class.